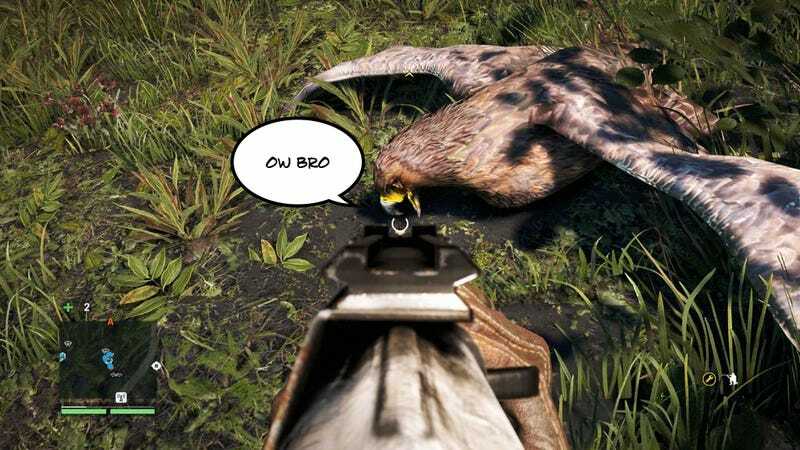 Far Cry 4, Ubisoft's new bird-attack simulator, is a very nice-looking game. 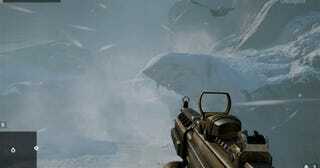 Unfortunately, a lot of PC gamers are having issues getting it to run smoothly. The game is generally a lot of fun, but the PC version suffers from regular micro-stutter, an issue with which PC gamers are becoming all too familiar. If you've been playing on PC, you've probably seen it: the game will be running at a solid 60fps, but then it'll just sort of hang for a split second. Your frame-counter will drop to 59, or maybe it won't drop at all, but your eyes will tell you something's not quite right. It's much more pronounced if you hop into a helicopter or drive a car. It's not the end of the world—I managed to have plenty of fun playing the game over the weekend, and I'm more sensitive to frame-rate stuff than most—but it is annoying and distracting. It doesn't seem to be tied to your GPU either—I'm playing on a new GTX 970 and find that the game has stutter no matter what settings I run it with. So far, Ubisoft hasn't addressed the problem or patched it. Today's 1.4 update on PC fixes a different issue, one where some users were getting a black screen at boot, though the only effect it's had on my game is to significantly increase the length of the first loading screen. Fortunately, there is a bit of a workaround. It won't remove stutter from the game entirely, but I have found that it makes the game run much more smoothly. I'd seen this fix tossed around on some forums over the weekend, and finally tried it out when Eurogamer's Digital Foundry reported that it does indeed work. Here's what you do. Go to "My Documents," open up your "My Games" folder and find the Far Cry 4 folder. In there, you'll find your profile.xml file. (For me, my profile was located in another subfolder within the Far Cry 4 folder.) Then, make two changes: Change DisableLoadingMip0="0" to DisableLoadingMip0="1" and change GPUMaxBufferedFrames="0" to GPUMaxBufferedFrames="1". After doing that, the game should run more smoothly, though it does sound like it reduces the quality of the in-game textures. (I haven't really noticed, and prefer the smoothness at this point.) My game still has some small stutters, but it's significantly improved from how it had been.